Experian, which provides information to companies, gathers a lot of information from the social media space such as comments on Yellow Pages, consumer forums, company websites and published reports. 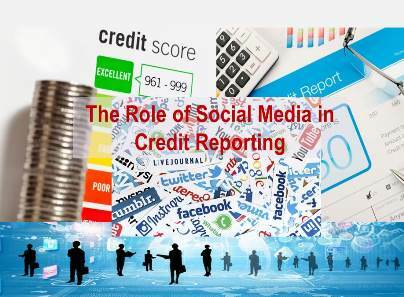 “We are working with a private sector bank to look at using information that’s available in the social media space for credit evaluation of customers,” said Mohan Jayaraman, managing director, Experian Credit Information Company of India. Experian also has a fraud prevention service called Hunter to check costly application frauds. Under this product, it screens and highlights potentially fraudulent applications, enabling organizations to identify fraudsters before they become customers. Information on social media will be used to detect frauds in the small and medium enterprises space. Typically, a credit report is an individual’s credit payment history across loan types and credit institutions over a period of time. Jayaraman said that they are looking at the correlation between social behavior / credit information and their credit rating. The project is at an exploratory stage. Credit rating companies use unstructured data like the ones on Yellow Pages, Facebook or Twitter to rate bank clients in other markets. There are four credit bureaus in India — Credit Information Bureau India (CIBIL) owned by TranUnion, Equifax Credit Information Services, Experian Credit Information and High Mark Credit Information owned by CRIF. BIIA Editorial Comment: This is an important development and it has to be seen how it will pan out in future privacy debates. As far as we know, credit bureaus in the EU are shunning the use of social media data in credit scoring. The German market leader Schufa launched a research project some time ago with a university to determine whether social media could be safely and responsibly sourced from the Internet, and to find out whether some conclusions can be extracted from such data. The research project drew a lot of flak from privacy advocates and political activists, causing it to be withdrawn. 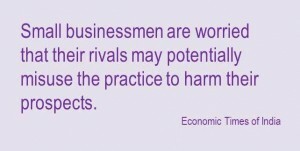 The objections raised by the Indian small business community give rise to concern. The use of ‘alternative’ data, such as news, yellow pages and social media is seen to be a benefit in reducing the asymmetries in information and thus facilitating access to finance for small businesses. 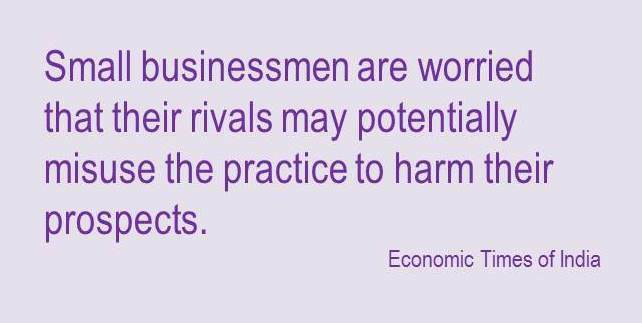 BIIA intends to debate these issues fully in the BIIA 10th Anniversary Conference on October 29th and 30th 2015 in Hong Kong.